The summer holidays are here! Kids are going to be at home for a month or two. And with 2010 being touted as the hottest year in a decade, going out seems a bit too, well, unreasonable. Time then for the kids channels on television to get cracking and come out with their creative best. Kids are a choosy lot; so they will not really go in for an average Van Damme movie on HBO, unless of course they are 13. Kids like magic, comedy, featuring a simpleton chap suddenly gaining all the power in the world, or a superhero movie. Kids are not women. They are not a mystery to solve. But they surely can be a pain to handle at times. Kids are immensely fastidious and one has to play the cards just right in order to click with them. And this is exactly what kids channel, POGO is doing. A Turner product, POGO is offering kids the best of Indian animation and cinema action without stepping out in the scorching heat. POGO is also running an offer for viewers, wherein they can win free pizzas during the movie breaks. POGO's popular movie block ' Lights Camera POGO! Badaa Cinema!, starting from May 2 ' June 27, Sundays at 12:00 Noon, will showcase fun movies such as Drona, Detective Nani, Bhootnath, Meerabai Not Out, Return of Hanuman and Chain Kulli Ki Main Kulli. The channel will also run Lights Camera POGO Badaa Snack Break contest, and will ask questions during the movie breaks and the correct responses stand a chance to win pizzas. There are over 1000 of pizzas to be won across 9 weeks ' that's almost 16 pizzas a day! In a statement to the media, Krishna Desai, Director, Programming, Turner International India Pvt. Ltd. said, "POGO doubles the fun this summer break with its entertaining line-up that promises to engage kids with its slew of action and comedy movies ranging from Indian animation to Bollywood movies. Adding to their movie watching experience is the fun, Lights Camera Badaa Snack Break contest, with which kids stand to win Pizzas, during every break! We are sure that our audience will love this delicious summer treat as much as we did putting it together for them." POGO is also set to launch new episodes of Indian animation hero ' Chota Bheem, a mega special kids' arts show ' M.A.D. : Rob's Favourite and a brand new comical show ' Kyoro Chan. 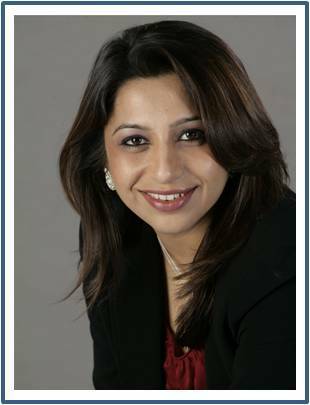 In an exclusive chat with Adgully, Monica Tata, Vice President and Deputy General Manager ' Entertainment Networks, South Asia, Turner International India Private Limited said, "With Cartoon Network and POGO being the number one and two kids' channels of India, our channel's incomparable reach and influence amongst kids are our best marketing and promotion assets." 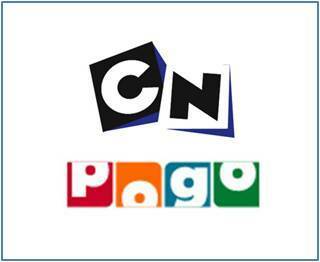 "Cartoon Network is available in over 28 million C&S homes and POGO in over 19 million homes. Thus, most of our key promotables and high decibel programming such as Summer line-ups are promoted extensively on-air. Cartoon Network is all about animating kids' lives and POGO is about kids thinking louder, bouncing higher, playing smarter and dreaming bigger that is, to say that alongside entertainment. We engage with our viewers," Tata added further, speaking about the media mix for promotion of the shows. One such engagement tool is Cartoon Network's Hero Up Challenge in which kids will create their own super-powered heroes. From April 12 to May 23, 2010, Cartoon Network (CN) will see villains threatening CN's favourite heroes and damaging the environment at the same time. The idea is to reach out to kids and involve them into suggesting on new heroes to defeat the villains and keep them from destroying the world through the Hero Up Challenge. The winner will have her/his Hero Up Superhero and story idea made into comic strip on-air spot that airs for up to two weeks at end of campaign. Another such activity devised as an engagement tool is to promote summer movie block ' Lights Camera Bada Cinema on POGO. "We are running the fun-filled Lights, Camera Bada Snack Break contest. This 9 week contest is designed to make even the breaks fun and interactive. The contest offers kids' a chance to win free pizzas during the movie breaks! Kids need to lookout for the simple questions during the movie breaks and SMS the correct responses to 58558," Tata said. Speaking about tapping the regional market with a specially tailored strategy, Tata said, Cartoon Network and POGO are clear kids' favourite across the country and thus all our contests, programming is for the All India market that the channels reach out to. However, we do offer languaging options to ensure stronger resonance amongst our varied target audiences. Cartoon Network is available in four languages including English, Hindi, Tamil & Telugu & POGO in two, which is English & Hindi." So, for kids this summer, expect POGO and CN to be right up there with swimming, ice cream and water parks.